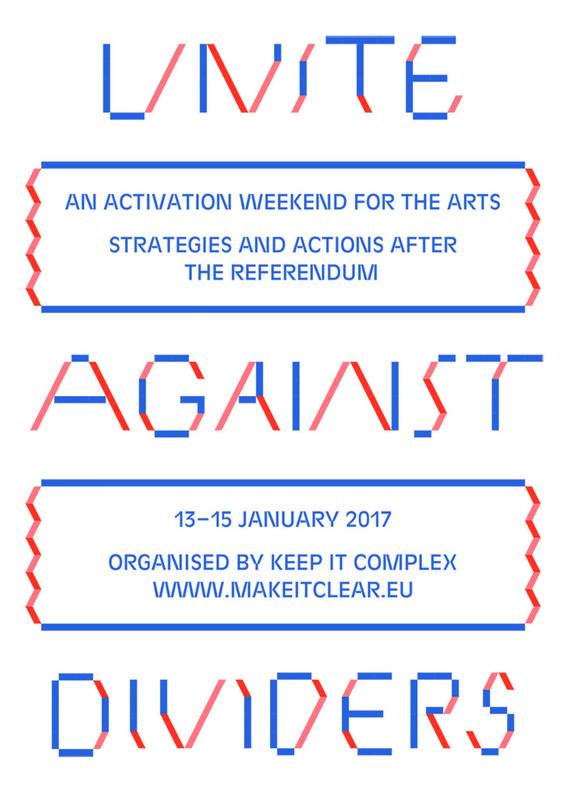 Unite Against Dividers (13-15 Jan 2017) was a weekend of workshops, debates, questions and networking to equip and activate the arts community after the UK’s EU Referendum. We have compiled all the resources and material from the weekend on this page. If you’re asking: What’s next? Our answer is: Take an idea from the weekend and make it happen. Talk to the people you met and start your own art politics. 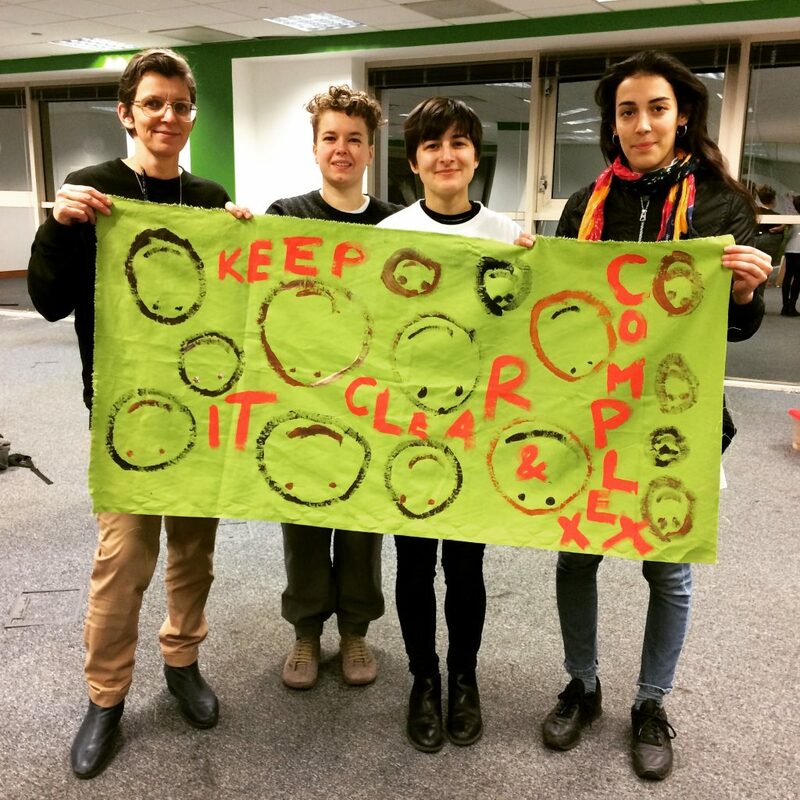 We’ll do the same and continue to spread ideas, dates for action, demands and solidarity. Many of the activities we hosted at the weekend are already continuing as regular events, like the choir with Jenny Moore or the communal lunches at arts institutions. To find out what is happening right now near you, follow us on twitter. Unite Against Dividers was crowdfunded and we’d like to thank everybody who supported it.